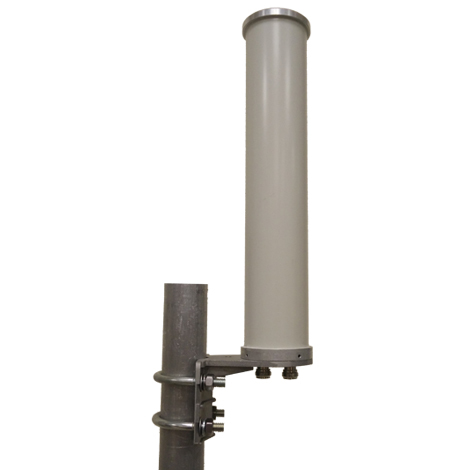 This 3.3-3.8 GHz Dual Polarization Omni Directional Antenna provides a stable and efficient performance with 9-10dBi of gain and cost effective solution for large scale applications and systems such as 802.11, Point-to-multi-point, WLAN access points, ISM, CBRS, WiMAX and more. There is no deviation from the horizon in the elevation patters across the entire band. 3 dB Beam-Width, Azimuth, typ. 3 dB Beam-Width, Elevation, typ.